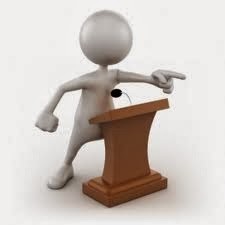 Are you a professional speaker that also has a book out or in the works? Although you may not consider yourself an author, it is time to start thinking about how you are going to get your book in as many hands as possible. Video is big and it is an excellent way for speakers turned authors to reach their target audience. Think about it, more than 1 billion unique users visit YouTube each month. That's a HUGE audience for your content. YouTube is the most famous but there are many other video sharing sites out there too. Video is an excellent way for an author to reach their target market. Many consumers prefer video because our brains are wired for motion and we like to be entertained. YouTube has a huge audience that you can use for marketing your book. As an author it may be difficult to to create a buzz for your work but with persistence you can find your target market and create a name for yourself. Your book promotes you as a speaker and it helps you become an expert in your industry. Authors can use video marketing to attract readers and earn their trust. Ask your fans to send in questions and film the response. You can do a Google+ hangout that can be live streamed to your YouTube channel. This is a great way to connect with other authors in your niche and discus common topics. Each participant can invite their fans to view the video. If your have a non- fiction book this can add social proof. If your book is non-fiction and has made a readers life easier request testimonials for your YouTube channel. Give readers a sneak peak of what your book is about. For non- fiction your video would focus on the services you offs and how your book complements your business. For a fiction book Highlight characters in different videos. You readers want to know how your book was created or where the idea came from. How are you using video for author branding and book promotion?